Three year old boys can be a tricky lot- they’re in a phase of life where they’ve started having the desire for bigger and better toys. So should you begin to trust them with a bow and arrow, or with a ball and bat? Give him something easier and comfier. We’ve mapped it out for you- much more trustworthy and definitely safer gift ideas. Let your boy be an architect or builder and let him learn how to build the best bridges, boats and roads or let him pretend to be a car mechanic who tows away defective cars in order to be get them all fixed and a nice shiny look once again. 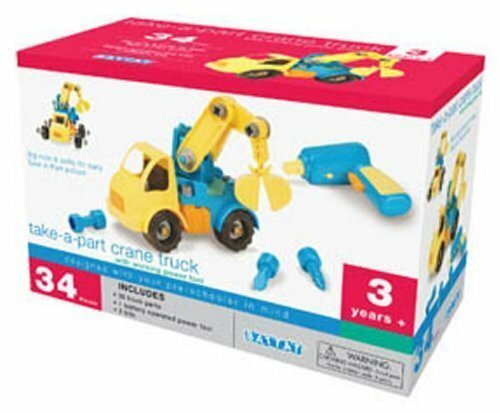 The first great gift that we’ve got for your three year old would be the Battat Take Apart Crane. This model aeroplane comes with light blue wings and a yellow propeller, and with 2AA batteries that won’t run out anytime soon, AND power screwdriver to help things if something does break and fall off- which it won’t anytime soon, trust us! 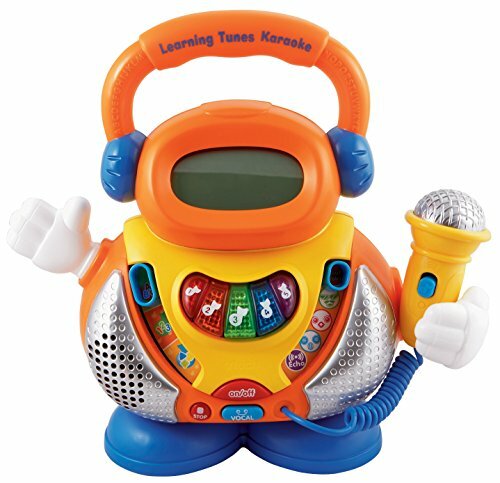 This bright and cheerful little fella comes with an LCD Screen that has fun animations and voiceovers, he contains 15 songs- most of which are thoroughly enjoyable and meant for your kid to sing along with him, a microphone for when your kid wants to belt out his favorite songs, and what’s even better is how inviting he looks! This cool little black and blue squidgy device is quite safe for your three year old, having been made from plastic and being completely harmless. It’s real purpose lies in shooting out balls at great speed and easy to reach out distance so your three year old can learn to catch the balls it shoots forth with great ease and no pain! 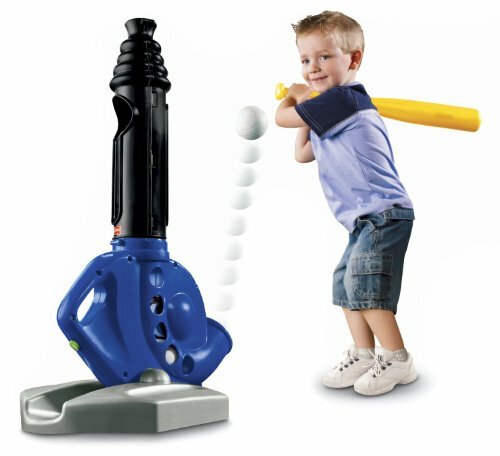 What’s an obvious plus of course, is that before they can move on to the big things, this is a simple way for your child to learn how to play baseball! 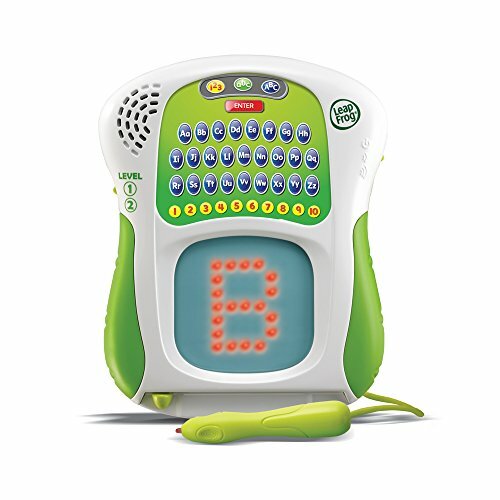 This is a beautiful little multicolored app with a brilliant white stylus pen that teaches your three year old with no fuss and plenty of entertainment, how to read and write both their ABC and basic numbers! Now learning time will no longer be something stiff and boring that your three year old will be whining about! 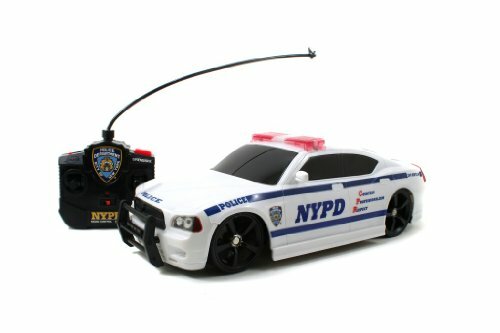 This adorable little black and white and blue car that imitates an actual NYPD police car, features real red LED lights as well as beeping sounds that will be sure to delight any three year old! Additional features include real police phrases that issue from the car when your child plays Cops and Robbers, as well as the fact that this car can race up to three other cars at the same time- perfect for when your child wants to pop in more excitement in their tiny little lives! This amazing little building block set is perfect for the aspiring architect- the pieces stay upright and won’t snap easy- which makes it suitable for long hours of play that will be sure to kindle your child’s imagination and allow them to imagine creating the very best that they can! Plus, they’ll start off with the easy stuff as well such as learning how to build bridges, houses, roads and a whole lot more! 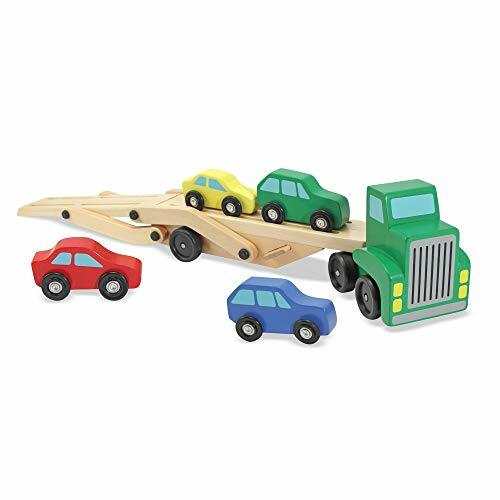 This sweet little pastel pink car carrier may look small but it is surely a strong durable toy. Great for carrying over three cars at a time, on two lower ramps that will be certain to cart away cars that are defected and need help. 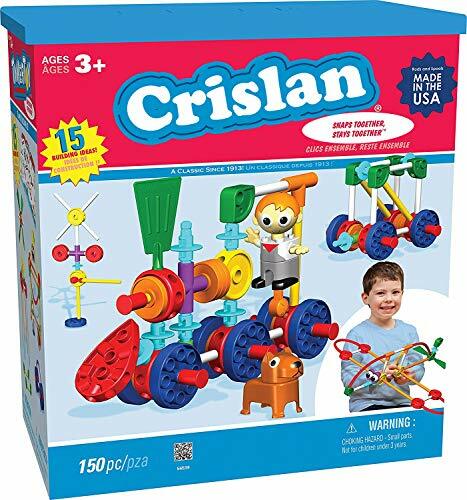 Now your child can get his tools already to fix the cars. Pinning some of these again under Christmas 2014 Gifts for Friends. They're all great. I have a three year-old grand nephew. He is so much fun to buy things for. Great selection of toys here, my son had that NYPD police car and he enjoyed that a lot! Wow! Great suggestions, Valeed! I especially like the karaoke set -- wonderful idea! Pinning them all.